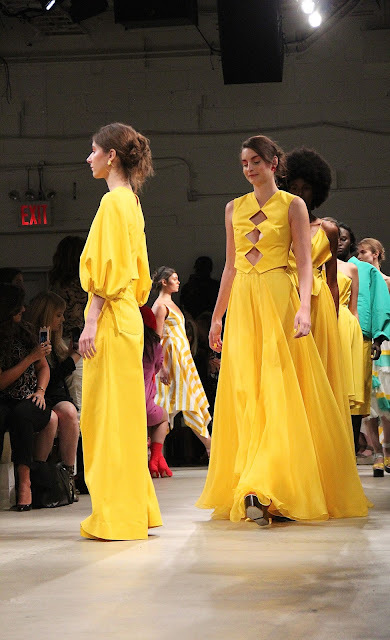 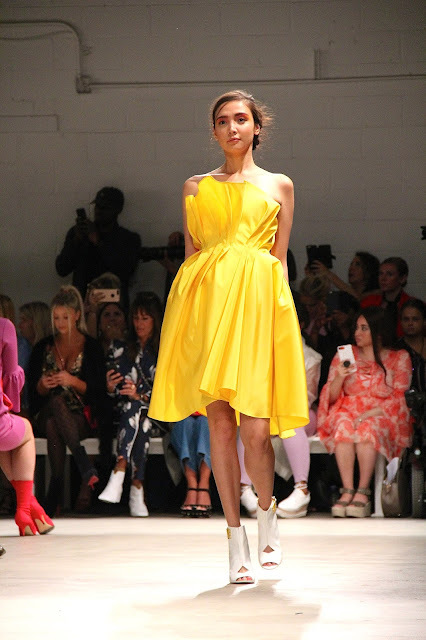 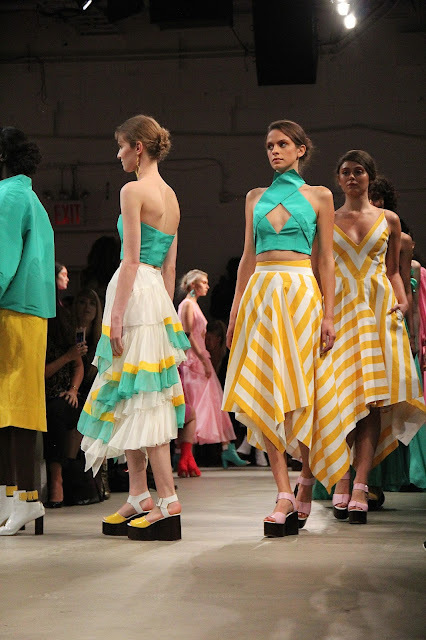 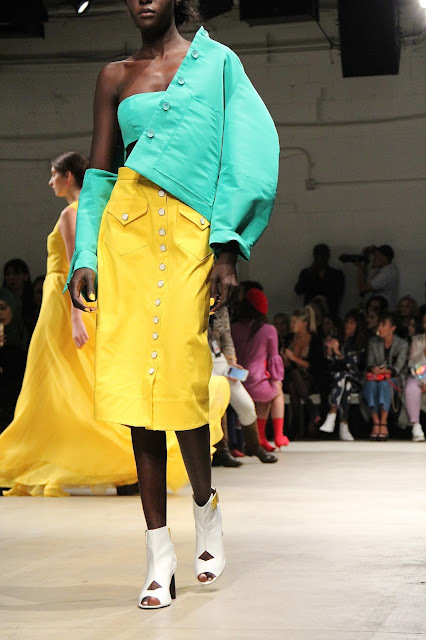 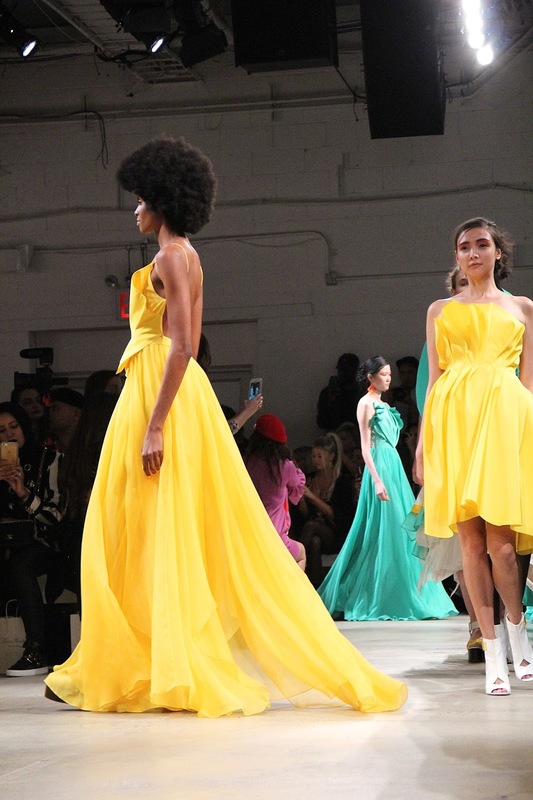 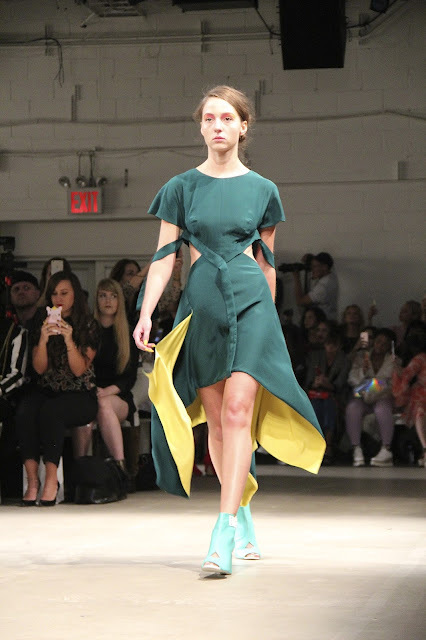 Leanne Marshall Spring / Summer 2018 is inspired by a tropical paradise, in a colorful palette of yellow, green, orange, lagoon and hot pink. 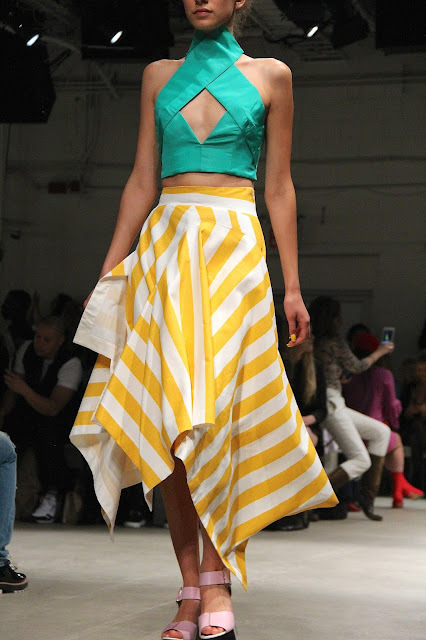 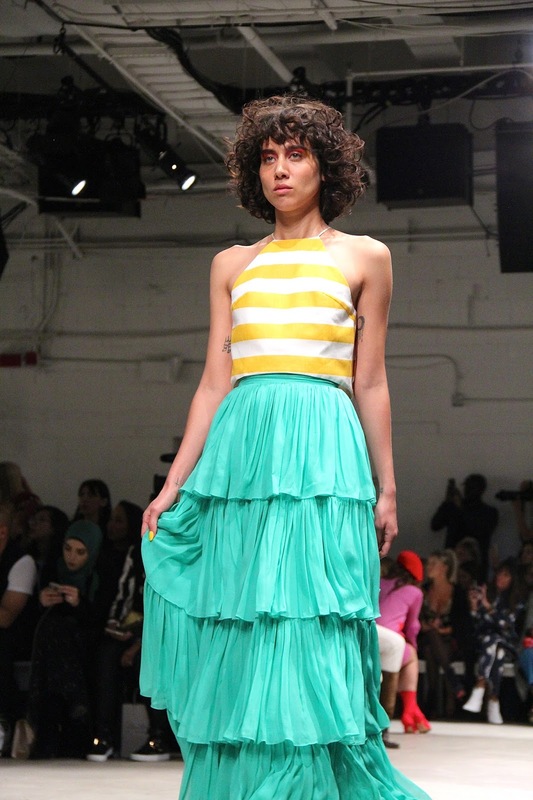 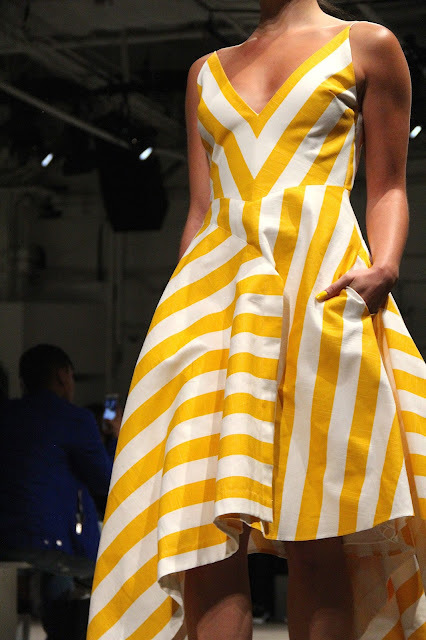 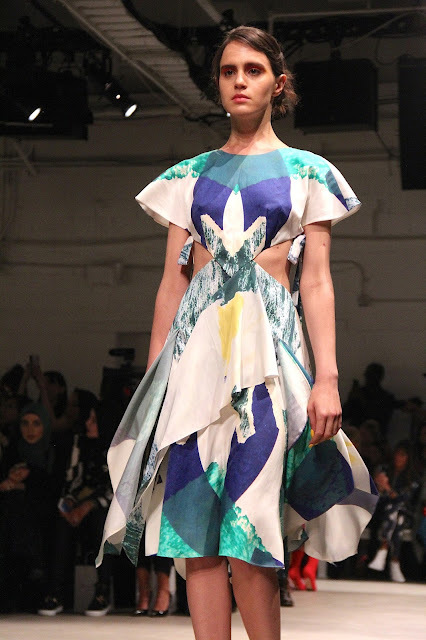 The dresses are flowy and feminine, with keyhole and diamond cutouts, asymmetrical skirts, ruffles and stripes. 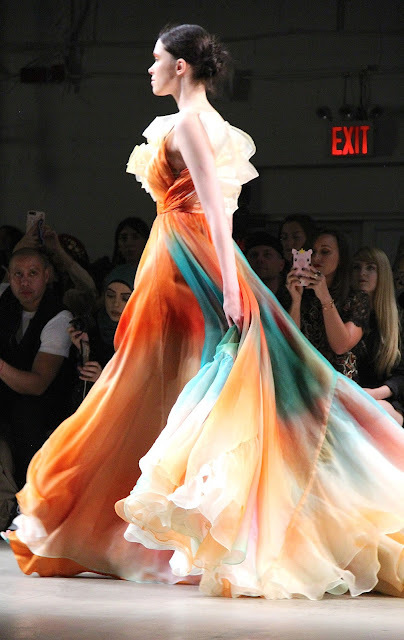 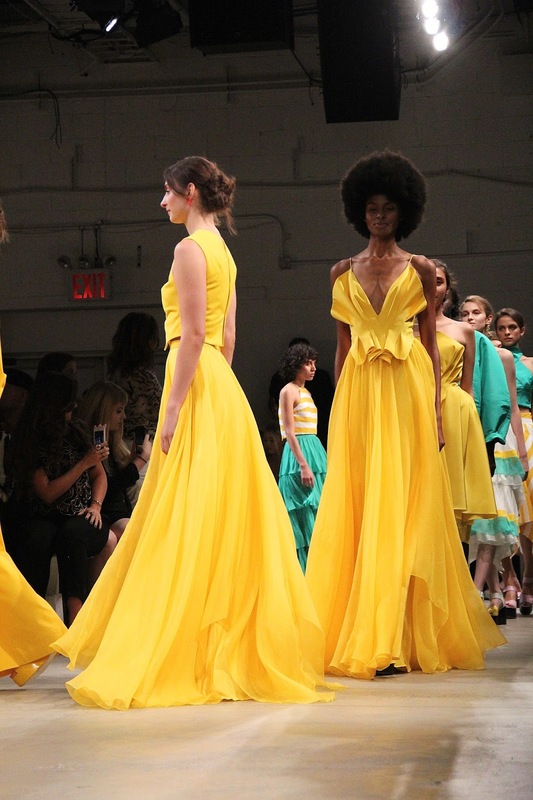 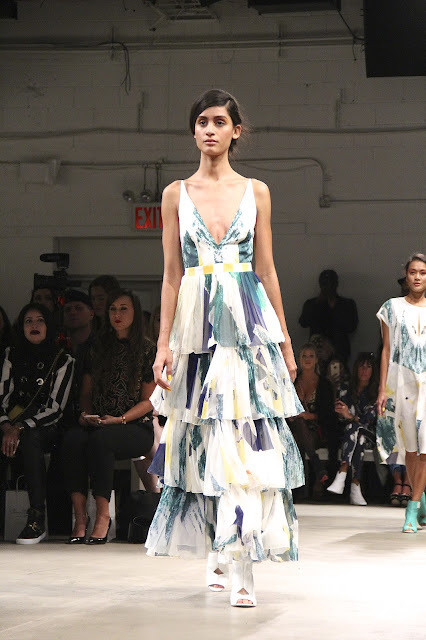 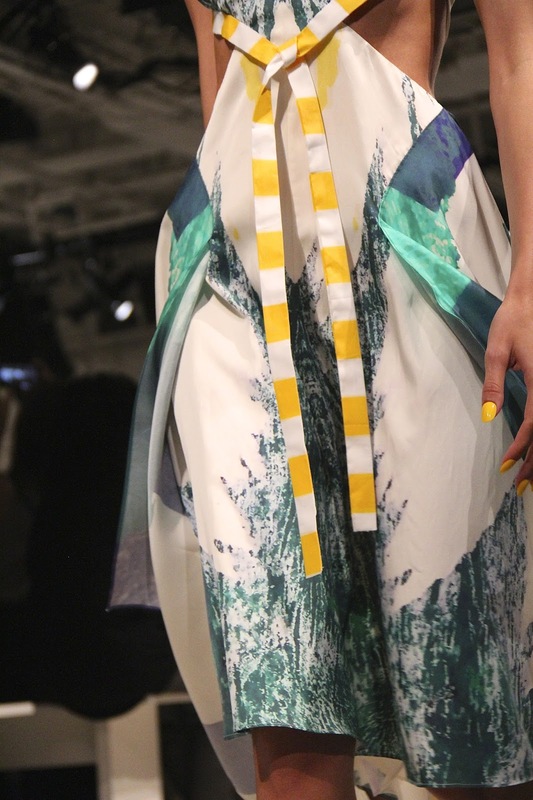 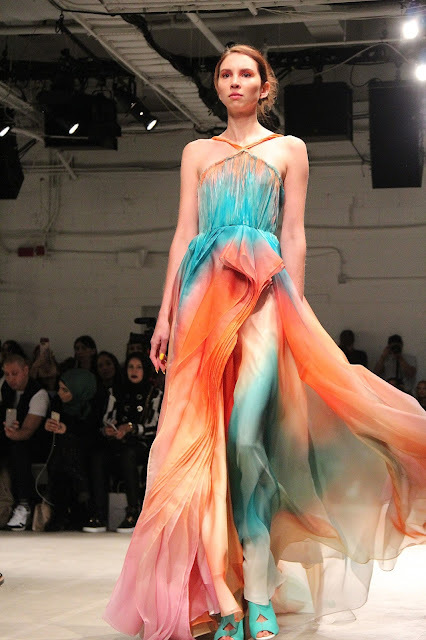 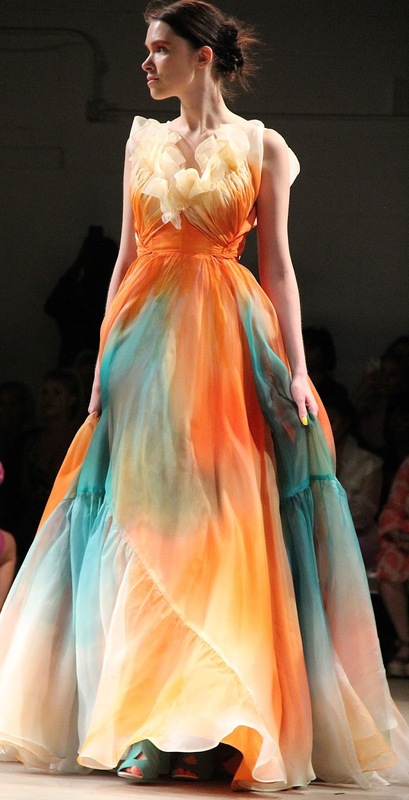 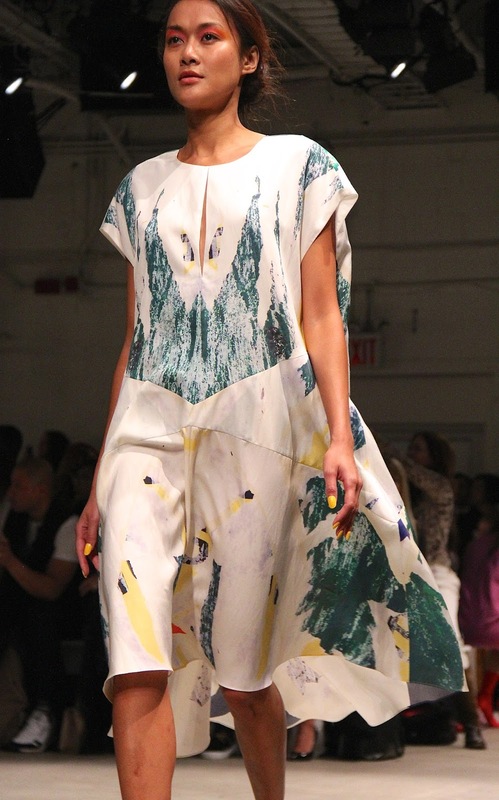 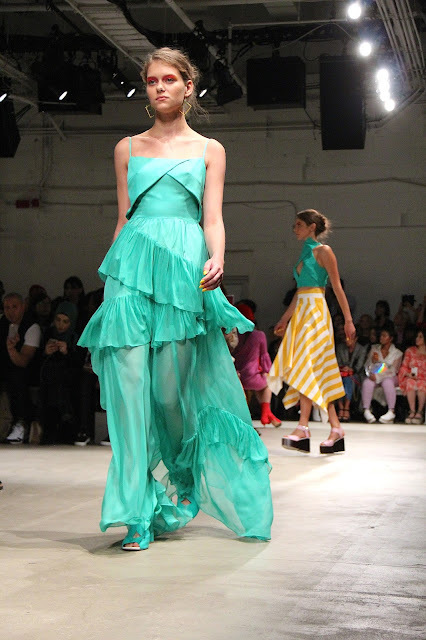 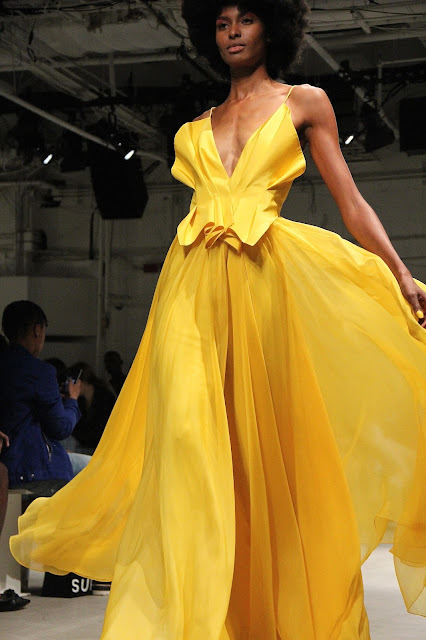 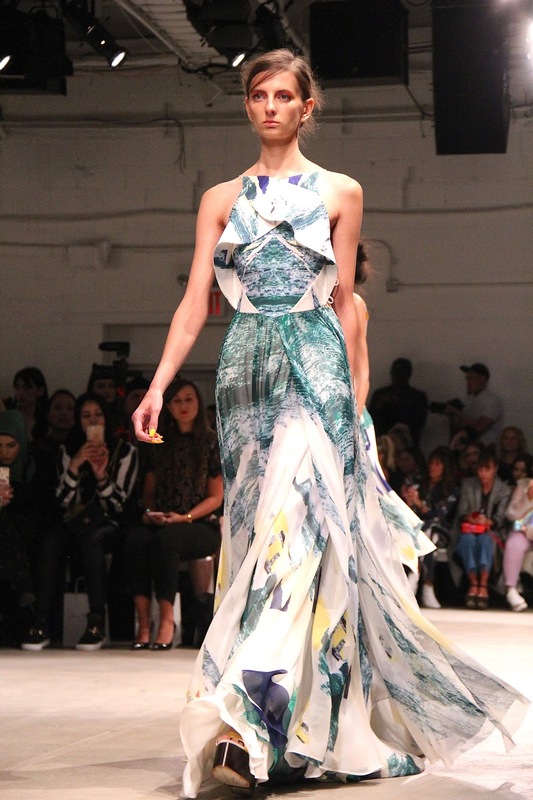 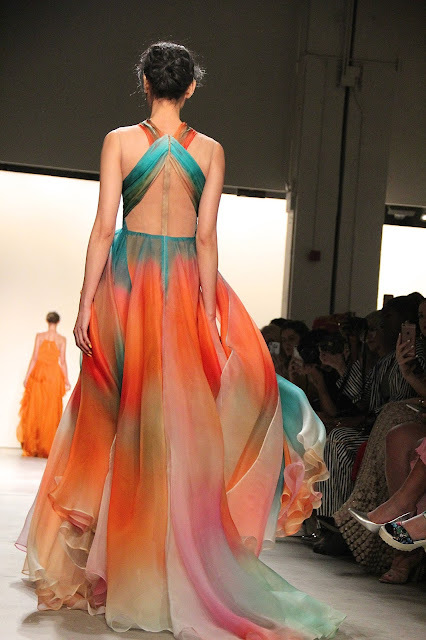 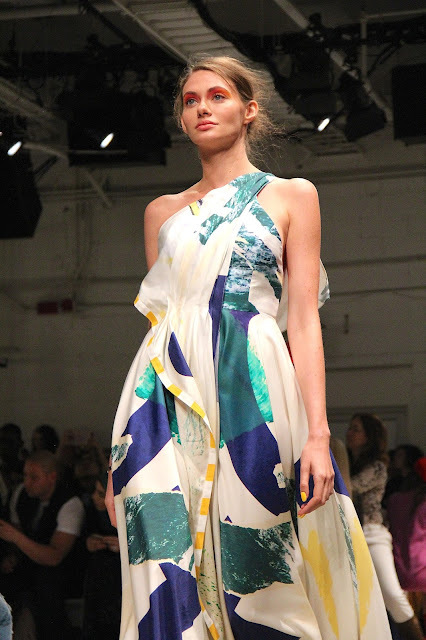 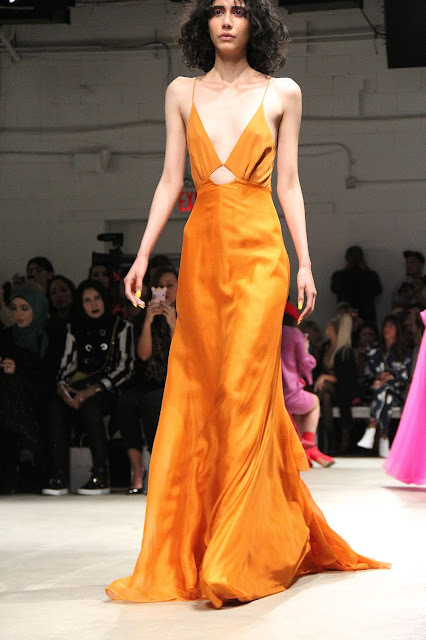 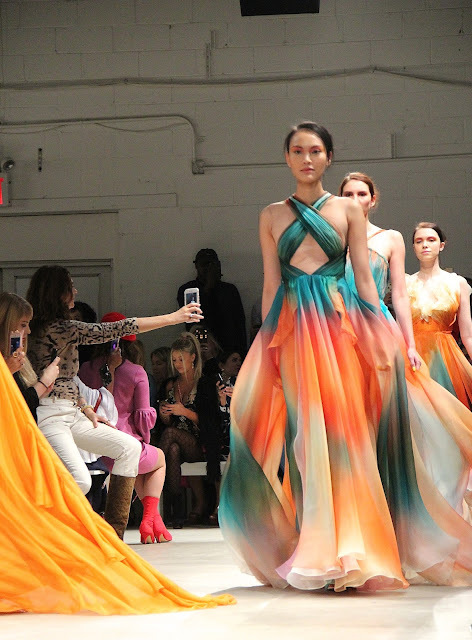 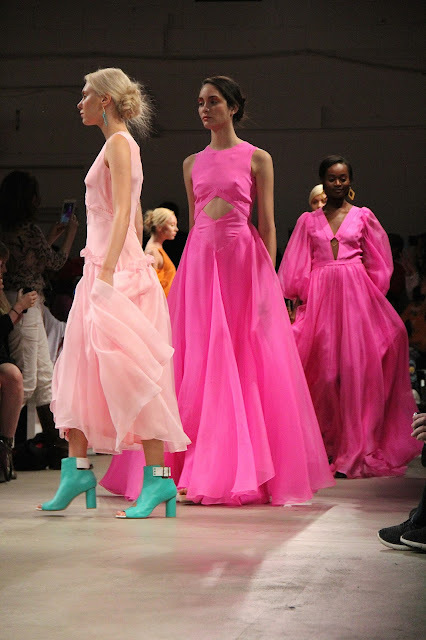 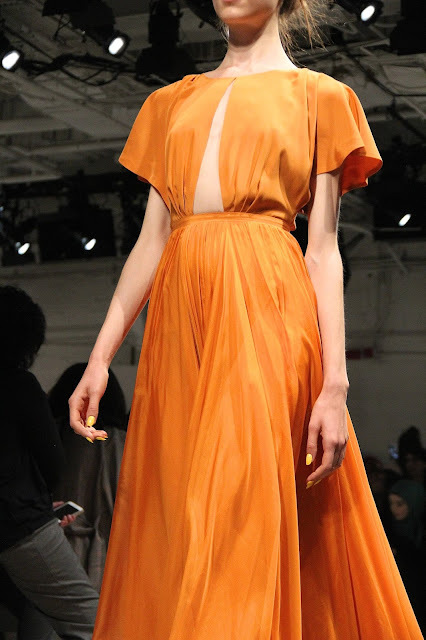 The final looks included gorgeous silk organza tropical sunset gowns. 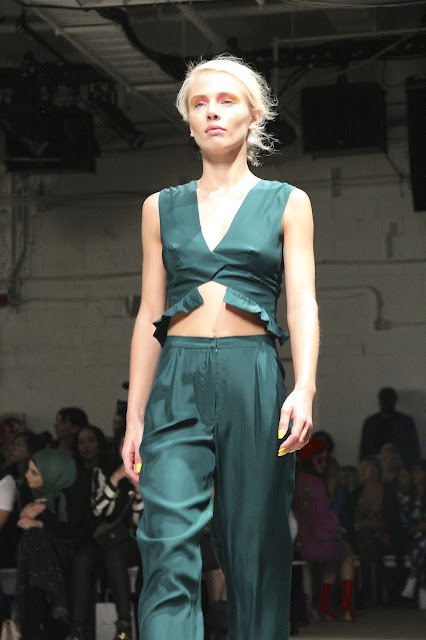 The looks were paired with platform sandals and open-toe booties with diamond cutout and contrast buckles by Oceedee Shoes. Make-up was by Janell Geason for Aveda and hair was by Jon Reyman for Aveda.